PAA Students Busy at Work this Christmas Season!! Hey everyone! We've had a busy few weeks and I've loads to tell you!! So while the kids were on midterm from stage school classes, the PAA teachers were busy in Kenmare teaching a Halloween Performing Arts camp!! We had the pleasure of working with some amazingly talented kids, and meeting some really lovely people! We can't wait to go back to work on our ''Make A Musical" Easter Camp in 2016. We <3 Kenmare. Clarissa was our Star of the Week before we broke for midterm. She's really improved as a performer since she started with us, she's always helpful in class and she's an AMAZE dancer! Well done Clarissa! We had Erica as our Star of the Week last week. Erica is a consistently brilliant performer, always gives 100% and on top of that, she's made us even more proud of her by being chosen to dance in this years Olympia Panto, "Freezin'"!! We can't wait to come see you Erica! And not to leave anyone out.. I also want to give a big shout out to our very own George & Grainne as they start rehearsals for their Christmas pantos! 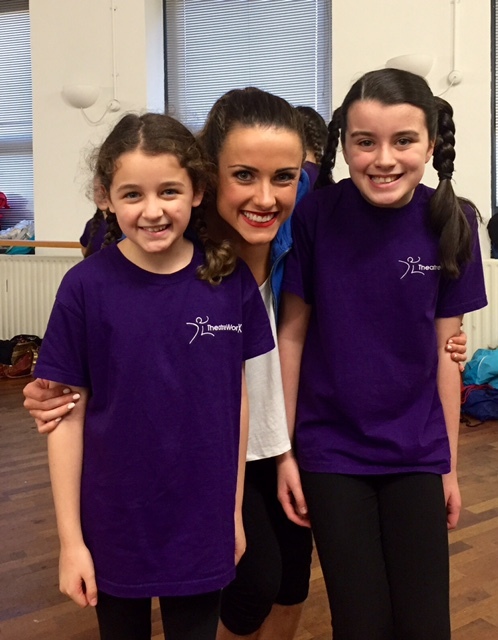 We'll be going to see Grainne and our students Naya and Amy in the Helix Panto on 5th December. YAY! Panto trips are the best!! We're so proud of our gang this year.. we've had stars of the week, our seniors preparing for drama exams, auditions, pantos, and most recent, those who sent in toy show audition tapes. You're all amazing!